The sawfish is not a shark but a skate. In Monmouth County, NJ, Pristis is known only from its rostral “teeth”, little is know about the oral teeth. The "saw" itself is an elongated rostral projection from the cranium, bearing on each side a series of large tooth-like structures. The rostral teeth are embedded in deep sockets of hardened cartilage. 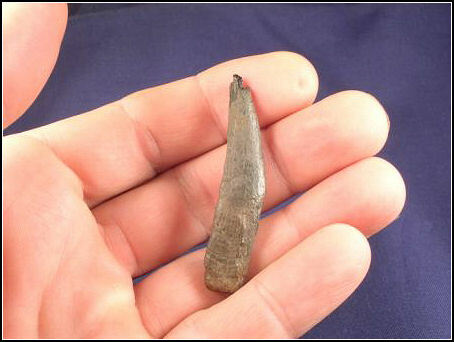 These teeth are flattened with a slightly striate base and can reach lengths of over 3 inches. The anterior edge forms what can best be described as a dull cutting edge, while the posterior edge is concave. 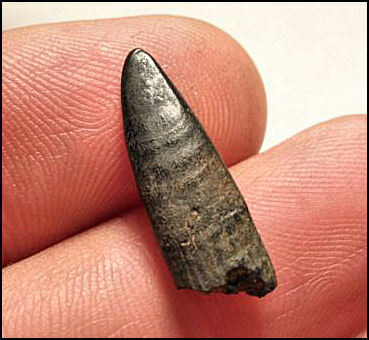 Pristis is known from the lower Eocene to the present, but is strictly found as an Eocene fossil in NJ. Two examples of Pristis sawfish rostral "teeth" or spines. The spine on the left is 3/4's of an inch, the spine on the left checks in at 2 inches. 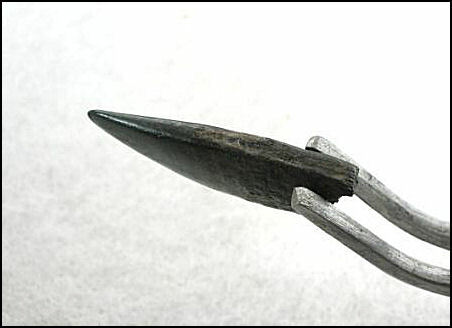 the school and impaling or stunning their prey on their rostral teeth. on spines that are not too stream worn. 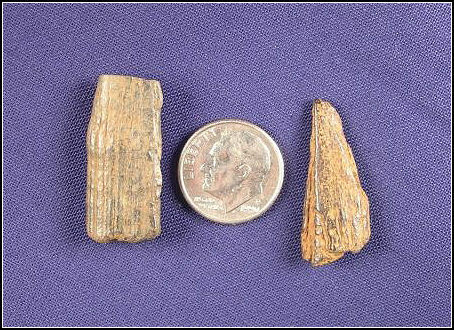 Due to their fragile nature typical finds usually consist of fragments.